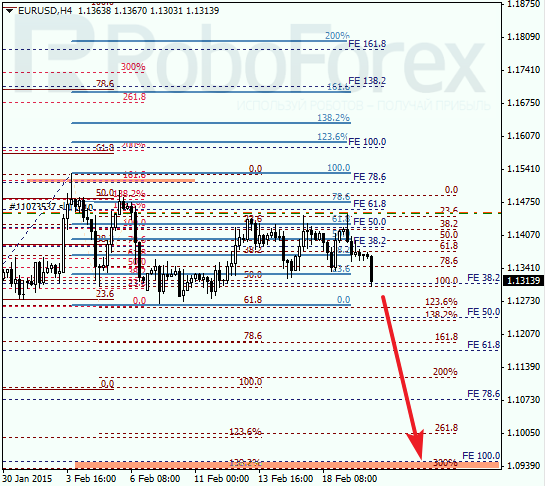 At the H1 chart, the pair has rebounded from a correctional retracement 61.8% three times and started falling. The intermediate target is the group of fibo-levels at 1.1180. Possibly, later the pair may start a new short-term correction from the lower levels. 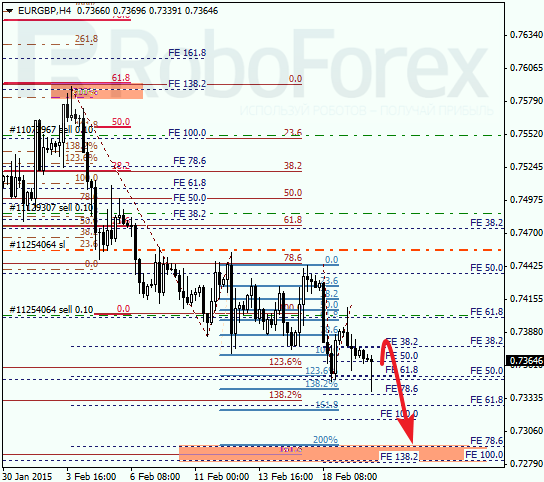 After rebounding from a correctional retracement 61.8% and several local levels near it, the price started falling again. The target is still at the group of lower fibo-levels. In the nearest future, the market is expected to form a local correction and then continue moving downwards. 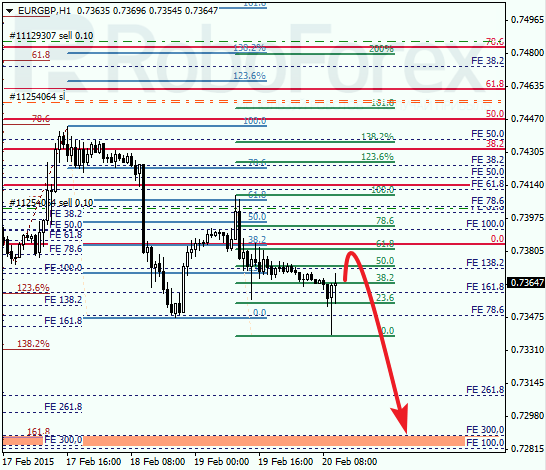 As we can see at the H1 chart, the price may continue the current correction towards retracement 61.8%. Later, the pair is expected to rebound from this level and continue falling towards the predicted target area.